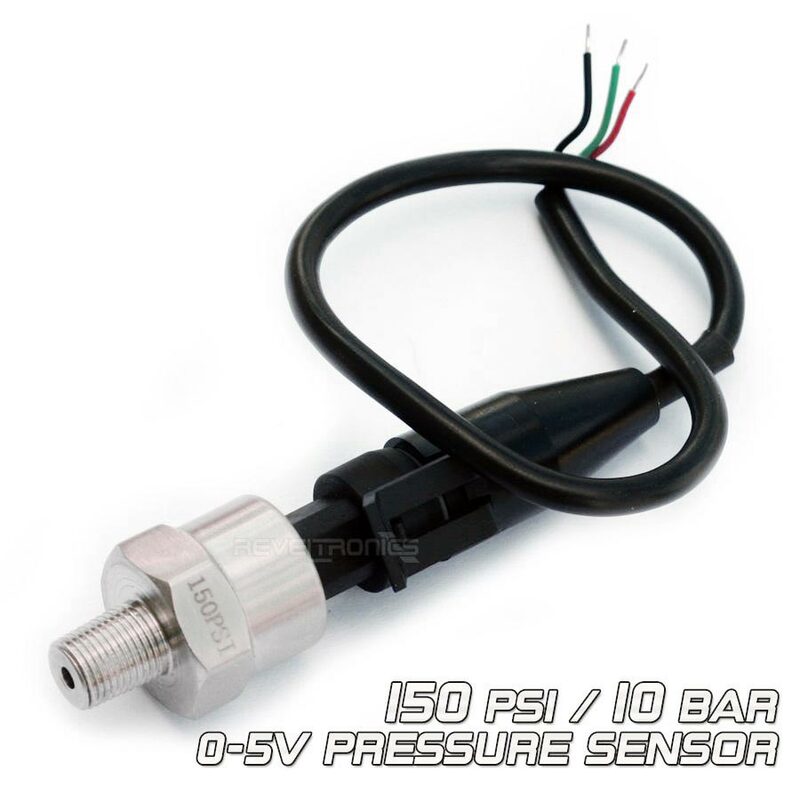 150 PSI (10 BAR) pressure sensor with linear voltage output. Example application: oil pressure sender, fuel pressure transducer, water and air pressure measurements. High quality 0 - 150 PSI (0 - 10 BAR) pressure sensor with linear voltage output. Commonly used as oil pressure sensor or fuel pressure sensor. Working with automotive gauges and data-loggers (as a pressure sender / transducer) such as UTCOMP & UTCOMP-PRO, AEM EMS, GReddy e-MANAGE, Motec, Stack, ACR systems, HRC etc. Waterproof connector is included with sensor. Output table can be found in datasheet. 3-pin waterproof connector with wires (photo). Michał Skolimski · 2 years ago. Lucian Agua · 2 years ago.